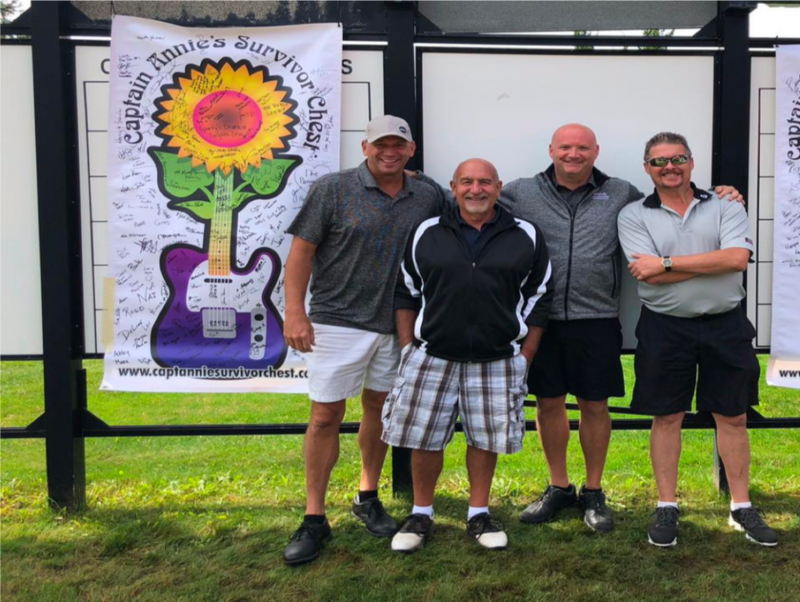 September 8th, 2018 we held our third annual golf out to raise funds for Captain Annie’s Survivor Chest. This is the second year we had enough teams to use the entire Currie Municipal Golf Course! We would like to say a huge THANK YOU to everyone who supported CASC in either golfing or attending the dinner. It is your support that allows CASC and Cancer Services to help ease the burden of those going through cancer treatments. One last thank you goes out to Currie golf course, the caterer, Menu Manager, and CASC volunteers for providing the services that made the event a success. Jim Furtaw, Bob Rankle, Brian Elliott and Bob Wellman.